Back in 1949, few would have predicted that Gary Cooper's leading lady in King Vidor's The Fountainhead would go on to win a Best Actress Academy Award 15 years later. Patricia Neal was one of those performers – e.g., Jean Arthur, Anne Bancroft – whose film career didn't start out all that well, but who, by way of Broadway, managed to both revive and magnify their Hollywood stardom. As part of its “Summer Under the Stars” series, Turner Classic Movies is dedicating Sunday, Aug. 16, '15, to Patricia Neal. This evening, TCM is showing three of her best-known films, in addition to one TCM premiere and an unusual latter-day entry. Robert Wise was hardly a genre director. A former editor (Citizen Kane, The Magnificent Ambersons), Wise dabbled in films noirs (Born to Kill), Westerns (Tribute to a Bad Man), epics (Helen of Troy), socially conscious fare (Odds Against Tomorrow), horror thrillers (The Haunting), and musicals (West Side Story, The Sound of Music) with equal ease. The final results weren't always satisfactory, but a number of his movies are classics of their respective genres – in several instances deservedly so. That's the case of the sci-fier The Day the Earth Stood Still (1951), written by Edmund H. North (from a story by Harry Bates). Released six years after the end of World War II, this sociopolitical drama disguised as an “alien invasion” movie remains as pertinent as ever. In other words, the cosmos has nothing to fear. Well, except perhaps another widely panned The Day the Earth Stood Still remake. In Scott Derrickson's 2008 movie, Keanu Reeves starred in the Michael Rennie role. Jennifer Connelly was his Earth-born-and-raised leading lady. Patricia Neal in 'A Face in the Crowd,' with Andy Griffith. 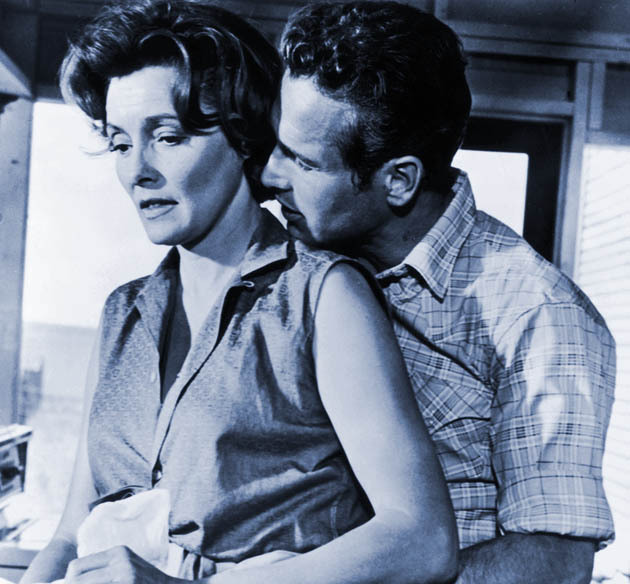 Martin Ritt's 1963 dysfunctional family drama Hud deservedly earned Patricia Neal the year's Best Actress Academy Award – even though, for all purposes, hers is a supporting character. No matter. However small the role, her portrayal of ranch housekeeper Alma Brown remains one of the few truly masterful performances to have received an Oscar. The story of an ambitious country bumpkin turned into a media-manufactured sociopolitical phenomenon – and a fascist danger – embraced by the braindead populace, Elia Kazan's A Face in the Crowd (1957) is surely more pertinent now than it was nearly six decades ago. Just look at the current U.S. presidential race; the one major difference is that instead of a country bumpkin (Andy Griffith) and a radio reporter (Patricia Neal), there's a megalomaniacal billionaire with a bad hairdo and Rupert Murdoch's well-greased propaganda machine. The largely forgotten Raton Pass (1951), a B Western directed by the also largely forgotten Edwin L. Marin, is one of TCM's precious few premieres this August. Patricia Neal plays the ambitious, conniving wife of New Mexico rancher Dennis Morgan; when she reaches the conclusion that one ranch isn't big enough for two people – especially when there's a wealthy (and available) railroad man (Scott Forbes) in the neighborhood – she hires hunky gunslinger Steve Cochran to help her do a bit of housecleaning. Raton Pass turned out to be Neal's last movie under her Warner Bros. contract – which lasted all of three years. Two decades later, she starred in Alastair Reid's The Night Digger a.k.a. The Road Builder (1971), a British-made thriller – partly financed by Metro-Goldwyn-Mayer – about a speech therapist (Neal) who, at the behest of her tyrannical adoptive mother (Pamela Brown), hires a handsome young stranger (Nicholas Clay, in his film debut) to work at their isolated mansion. The stroke that had left Patricia Neal paralyzed and unable to speak had occurred about six years prior to The Night Digger; taking that into account, it's curious that Neal plays a speech therapist in the film. Husband Roald Dahl was credited for the screenplay (based on Joy Cowley's novel), which he later disavowed. Patricia Neal in 'Hud,' with Paul Newman. 3:00 AM JOHN LOVES MARY (1949). Dir. : David Butler. Cast: Ronald Reagan. Patricia Neal. Jack Carson. Wayne Morris. B&W. 96 mins. 5:00 AM BRIGHT LEAF (1950). Dir. : Michael Curtiz. Cast: Gary Cooper. Lauren Bacall. Patricia Neal. B&W. 111 mins. 7:00 AM THE SUBJECT WAS ROSES (1968). Dir. : Ulu Grosbard. Cast: Patricia Neal. Jack Albertson. Martin Sheen. Color. 108 mins. 9:00 AM THE BREAKING POINT (1950). Dir. : Michael Curtiz. Cast: John Garfield. Patricia Neal. Phyllis Thaxter. Juano Hernandez. Wallace Ford. Edmon Ryan. Ralph Dumke. Guy Thomajan. William Campbell. Sherry Jackson. Donna Jo Boyce. Victor Sen Yung. Uncredited: John Doucette. James Griffith. Robert Williams. Paul McGuire. Tommy Lee. B&W. 97 mins. 11:00 AM THE HASTY HEART (1950). Dir. : Vincent Sherman. Cast: Patricia Neal. Richard Todd. Ronald Reagan. B&W. 102 mins. 1:00 PM THE FOUNTAINHEAD (1949). Dir. : King Vidor. Cast: Gary Cooper. Patricia Neal. Raymond Massey. B&W. 113 mins. 3:00 PM OPERATION PACIFIC (1951). Dir. : George Waggner. Cast: John Wayne. Patricia Neal. Ward Bond. B&W. 109 mins. 5:00 PM THE DAY THE EARTH STOOD STILL (1951). Dir. : Robert Wise. Cast: Michael Rennie. Patricia Neal. Hugh Marlowe. B&W. 92 mins. 7:00 PM HUD (1963). Dir. : Martin Ritt. Cast: Paul Newman. Melvyn Douglas. Patricia Neal. Brandon De Wilde. B&W. 112 mins. Letterbox Format. 9:00 PM A FACE IN THE CROWD (1957). Dir. : Elia Kazan. Cast: Andy Griffith. 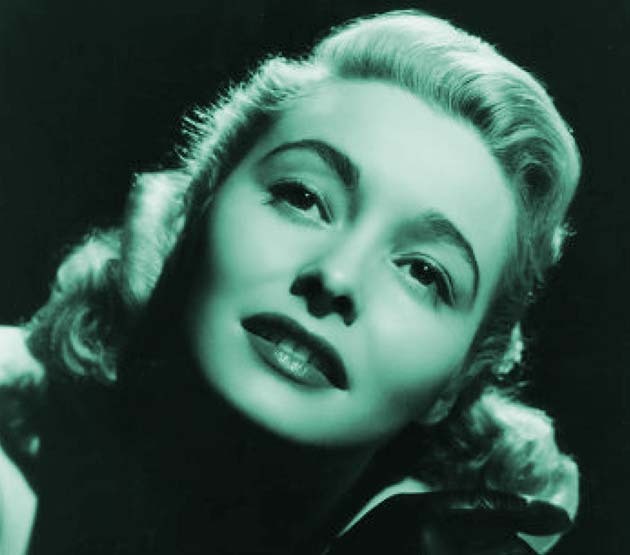 Patricia Neal. Anthony Franciosa. Walter Matthau. Lee Remick. Percy Waram. Paul McGrath. Marshall Neilan. Alexander Kirkland. Rod Brasfield. Howard Smith. Kay Medford. Charles Irving. Henry Sharp. Uncredited: Faye Emerson. Betty Furness. Burl Ives. Virginia Graham. Lois Nettleton. R.G. Armstrong. Bennett Cerf. Sam Levenson. Diana Sands. Rip Torn. Mike Wallace. Walter Winchell. Earl Wilson. B&W. 126 mins. Letterbox Format. 11:15 PM RATON PASS (1951). Dir. : Edwin L. Marin. Cast: Dennis Morgan. Patricia Neal. Steve Cochran. Scott Forbes. Dorothy Hart. Basil Ruysdael. Louis Jean Heydt. Roland Winters. James Burke. John Crawford. Uncredited: Edward Hearn. Ted Mapes. Dan White. B&W. 84 mins. 1:00 AM THE NIGHT DIGGER / THE ROAD BUILDER (1971). Dir. : Alastair Reid. Cast: Patricia Neal. Pamela Brown. Nicholas Clay. Jean Anderson. Yootha Joyce. Graham Crowden. Peter Sallis. Color. 96 mins. Patricia Neal movies' scheduled via the TCM website. Paul Newman and Patricia Neal Hud image: Paramount Pictures. Andy Griffith and Patricia Neal A Face in the Crowd image: Warner Bros., via Ale Kino.